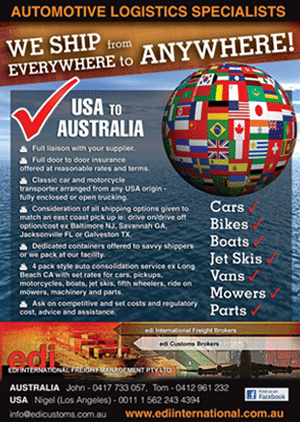 EDI International Freight Management Pty Ltd www.edicustoms.com.au is a Brisbane based and proudly Australian owned international freight forwarder and customs clearing house incorporated in 1991 with offices and agents throughout all Australian ports. We work alongside competent partners throughout all major trade lanes worldwide. 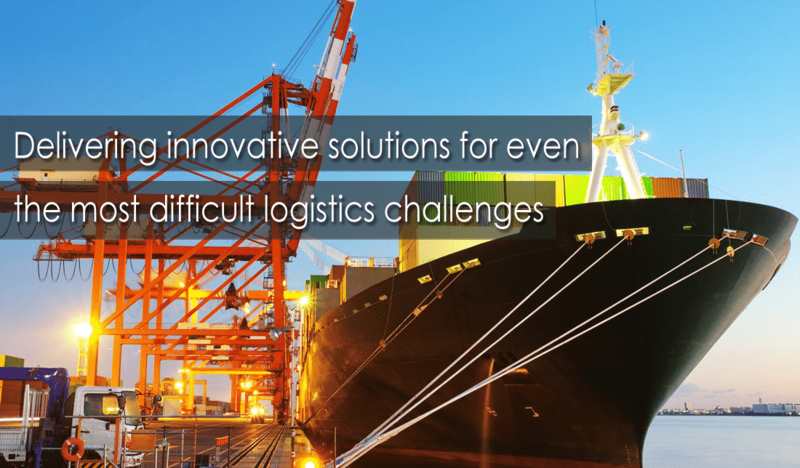 Our customers benefit from a methodology employed by our 20 strong professionals, a proactive and system-based electronic procedure including trace of cargo via ediTRACK. 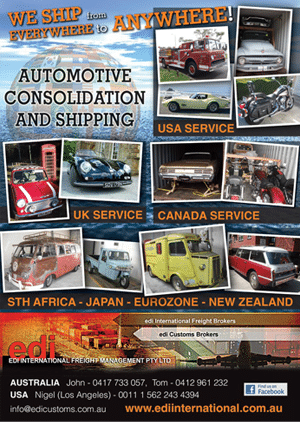 We have a strong specialist automotive and marine shipping division that includes an office in Los Angeles and this website www.ediinternational.com.au is dedicated to assisting shippers and sellers, registered compliance workshops or commercial or retail buyers and importers understand what sets us apart from the myriad of auto and marine consolidators advertising their abilities in this market. Have they invested in time, experience and professionalism. Take the time to read some of our subpages so that you can gain a better understanding of our strengths and see we will not have to “get back to you about that” and that we have the answers for any question you may have with our vast experience in this very complex specialist area. You are dealing directly with the seller liaison if necessary, directly with the container loading, manifesting and packing managers and as licenced customs, ozone and quarantine brokers we are liaising and lodging directly with import regulatory offices and also assist with pre-registration compliance if this management is requested. Click to enlarge each side of our brochure below before reading on.